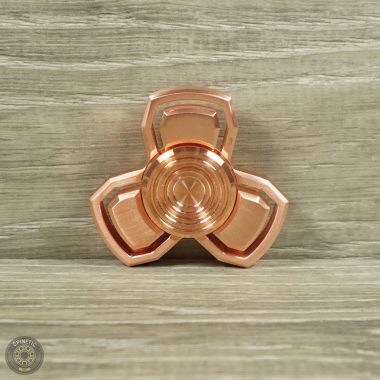 solid,beautiful and perfect spinner! I have many great spinners and this one is my best one! so smooth,well balance , spin long time, wonderful to spin in any direction and spin super fast! I'm crazy about it! thank you so much! 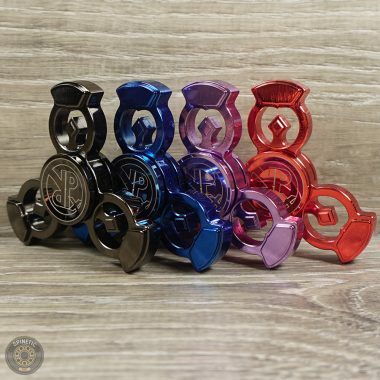 Ordered this spinner and received it very quickly from Spinetic. Great customer service on their part. Now to the Trinster. The machining quality is top notch and the size is just perfect. I opted for the stainless steel version since it’s very sleek looking and my personal preference. I found the weight to be balanced and my initial two handed spin time was 5 min plus with the upgraded FZ quiet bearing. 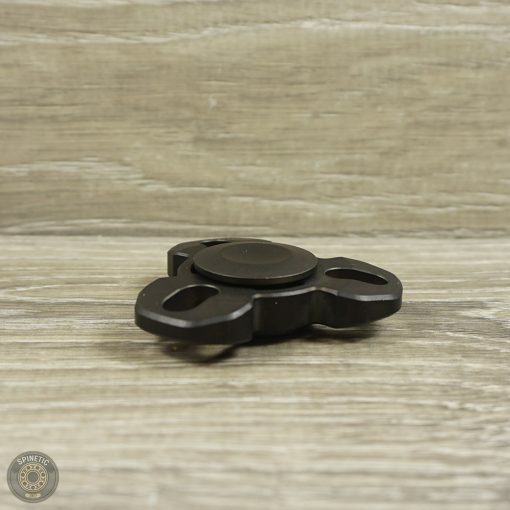 I added this one to my top spinners and recommend this to anyone looking for a solid spinner that’s easy on the hands. Even though I didn’t select the tumbled option, the edges were already beveled so no sharp edges out of the tin. Try for yourself and I believe you will agree. 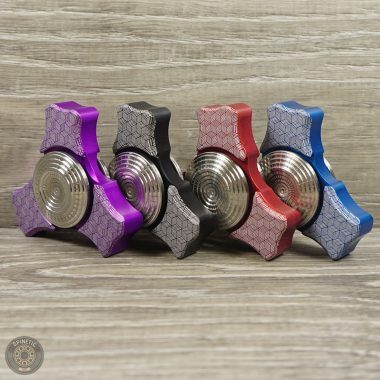 first off i want to say that shortly after my initial review i was contacted by customer support and offered an exchange for my spinner. very good customer service there…thank you. i was fully intending to take advantage of the offer to exchange. however, due to my own situation…i wasnt able to get the spinner in the the mail in a timely fashion…lets be clear, i wasnt under any time constraint other than what i feel is right. since i had the spinner with me and was using it for over a week after i received the return label, i decided it wouldnt be fair to send it back. 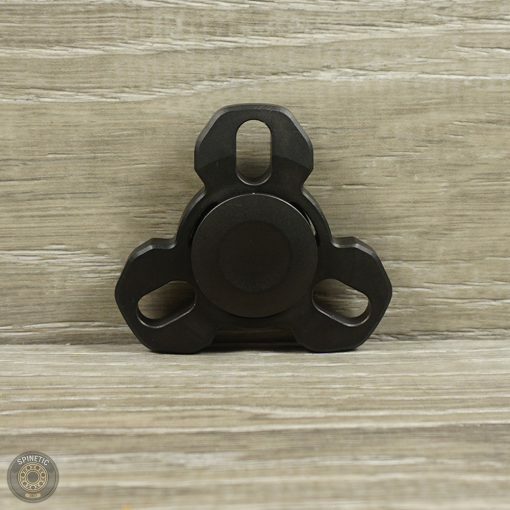 in that time i have been carrying it around with me as my only spinner, ive been using it extensively…and i even dropped it myself once or twice. i cant in good conscious send it back now. which leads me to the next part of the update. i dont even really want to send it back now. that is…after breaking it in for a week…its MUCH MUCH better now. it does still wobble abit, but now its far less prominent than before. the scratches i saw on it are less noticeable after buffing it a bit (and since i dropped it i put some scratches on it myself). 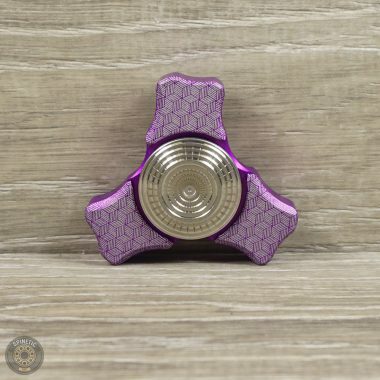 its a beautiful spinner and im more than happy to keep it and recommend it to everyone else. im bumping my score up to 4 stars. there are still a couple things that niggle me…the buttons are too smooth, there are some hot spots, but over all its very very nice and well worth the money. 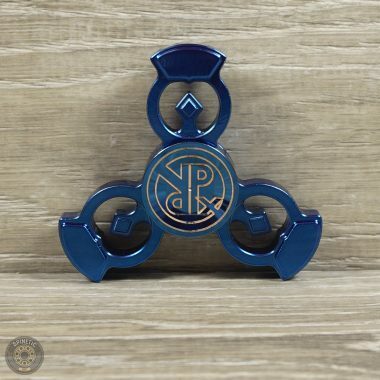 ok, well i really wanted to like this spinner a bit more than i do. dont get me wrong, its nice, but there are a few issues. i got the ss version. first the good. it sure is pretty. i like the design, and i like the size. it has some nice spin effects with the machining making subtle rainbow patterns in the light. (after cleaning) it spins very smoothly with a very good spin time. i got a terrible 53 seconds out of the box…obviously there was something wrong….so after a cleaning i tried again and got 5:30 even. not bad. its also very very quiet. now for a couple of neutral things to note. it doesnt have a whole lot of gyroscopic feedback. some…not a lot. so if you like a lot of feedback, maybe this isnt for you…but if you like that feeling of it spinning and you cant feel it….this is a good choice. the buttons are nice….they have a decent dip in them, but the area your finger rests on is smallish compared to the entire size of the button. also its not textured at all. i personally prefer a texture on the buttons, but you may like the smooth, for me i feel like im going to drop it. now for some of the down sides….quality control. maybe i just had some bad luck, but the one i got was kind of scratched up on one side when i opened the box. its not major, but it does look a little like someone dropped it on the ground once or twice. also…its a tad wobbly. if i hold it perfectly flat…its smooth as silk…but if it tilts even slightly….it wobbles…noticeably, and its not just the feel…you can see it wobbling. another slight negative (very slight) is the way your finger interacts with the cut outs. every time i use my index finger to push it…my finger doesnt slide smoothly…because of the angles of the the cuts…my fingernail thwacks the arm and it sounds like im snapping my fingers. happens every time. this is my second 2r spinner, i have the circulator as well, and come to think of it, it also has a slight wobble. in fact…the trinsters spin feels very VERY much the same as the circulator. but the trinster is more fun to fidget with imo. i gave the circulator 4 stars…i would probably have given this one 4 stars as well if it wasnt scratched up and a bit wobbly. like i said…maybe i was just unlucky.